PANAMA CITY — When Ivanka Trump flew here in 2006 to push her family’s latest business project — an oceanfront steel and glass tower called the Trump Ocean Club International Hotel and Tower, shaped like a sail and designed to be one of the tallest buildings in Latin America — a Brazilian real estate salesman named Alexandre Ventura Nogueira says he was ready with a sales pitch. Ventura, who said he only had a small real estate company at the time, said he told Ivanka Trump that he could sell condos in the proposed skyscraper for three times the price of similar units in Panama City. The reason: the Trump name, which would go on the building in a licensing deal even though the Trump Organization was not the building’s real developer. Ventura says he and Ivanka agreed to a kind of challenge. If Ventura could sell apartments as easily as he claimed, and for those high prices, he’d become the main sales representative for the project. "The agreement was, I had a week to sell 100 units," Ventura said in a recent interview with NBC News. "I said, 'I'm going to do better, I’m going to sell without telling (the buyers) the price." Ventura did sell the initial units, and later hundreds more. He is now a fugitive. In May 2009, Ventura was arrested in Panama for real estate fraud, unrelated to the Trump project. Mauricio Ceballos, a former financial crimes prosecutor in Panama who investigated Ventura, said that dozens of complaints against Ventura crossed his desk accusing him of double- and triple-selling apartments, both at the Trump Ocean Club and other developments. Ventura eventually fled Panama while out on bail. He denied having defrauded his clients but admitted to NBC News that he has participated in money laundering on behalf of corrupt Panamanian politicians, unrelated to the building project. The investigation revealed no indication that the Trump Organization or members of the Trump family engaged in any illegal activity, or knew of the criminal backgrounds of some of the project’s associates. But Ventura said that the Trumps never asked any questions about the buyers or where the money was coming from. Legal experts contacted by Reuters said the Trumps should have asked those questions. Because Panama is “perceived to be highly corrupt,” said Arthur Middlemiss, a former assistant district attorney in Manhattan and a former head of JPMorgan’s global anti-corruption program, those who do business there should perform due diligence on others involved in their ventures. If they fail to do so, he told Reuters, they risk being liable under U.S. law of turning a blind eye to wrongdoing. In the interview, Ventura admitted that some of his brokers and clients who bought and sold units in the Trump Ocean Club were connected to the Russian mafia and other organized-crime groups, including a convicted money launderer who moved cash for drug cartels. The Trump Organization was not the actual developer of the Panama tower. Thanks in large part to the hit NBC television show “The Apprentice,” the Trump name was recognized all over the world and the Panama deal was structured to capitalize on that brand. For this deal, the Trump Organization would license its brand, operate the hotel and sell its expertise in managing the building, receiving a cut of every condo sale. The actual development, along with all of the risks involved, would be left to a local businessman with almost no real estate experience, Roger Khafif and other partners. Ventura said he was invited to the meeting as Khafif’s sales representative. The interview with Ventura took place in a European city; Ventura agreed to meet NBC News along with Reuters, but asked that the specific location remain undisclosed and that he wear a disguise when appearing on camera. Ivanka Trump, now senior adviser to President Donald Trump, did not respond to requests for comment about her involvement in the project, instead referring questions to the Trump Organization. In a statement, the company distanced itself from both Ventura and the Panama project. The statement went on to say that the company has no relationship with Ventura, nor any knowledge of any allegations against him. But Ventura says that the Trump family, and Ivanka Trump in particular, was involved in the details of the Trump Ocean Club, and that she interacted with him extensively. “Buenos días,” she says in the video. “Hello, I'm Ivanka Trump. Welcome to Trump Ocean Club International Hotel and Tower, Panama, rising 70 stories above the glistening Panama Bay. We've taken inspiration from the beauty that surrounds us to create a new landmark for Panama.” She goes on to discuss such details as the “tropical color palette” and the carvings on the guestroom headboards. According to the Trump Ocean Club’s bondholder prospectus, Donald Trump was projected to make $74.2 million from the project by the end of 2010. The disclosure forms Trump filed with the Office of Government Ethics show that he continues to earn management fees and royalties from the Trump Ocean Club. In the last three years, the documents show, he was paid as much as $13.9 million. Global Witness, a nonprofit anti-corruption watchdog that is often critical of businesses and their connections to government officials, said Panama offered Donald Trump a new way to make money at a time when his businesses were struggling. (The Trump casino empire filed for bankruptcy in 2004.) The group is publishing the findings of its investigation into the Trump Ocean Club on Friday. Ventura estimates his company, Homes Real Estate Investment & Services, sold 350 to 400 units, about $100 million worth of property. Ventura says he was such an effective salesman that he was invited to a 2008 celebration at Trump’s Florida estate, Mar-a-Lago. Ventura provided photographs of himself with Donald Trump at the event, and other photographs of him with Ivanka, Eric Trump and Donald Trump Jr.
Ventura said the Trumps never asked about his clients, the people who were buying the condo units, and he never told them. To cite one example, he said that he sold seven to 10 units in the Trump Ocean Club to a man named David Murcia Guzmán, founder of a large Colombian marketing company. Guzmán is now in U.S. custody, awaiting extradition to Colombia after being convicted by a U.S. federal court of laundering money for drug cartels, including through real estate. According to a Colombian news report, citing the police, Guzmán also had financial ties to the FARC, a paramilitary organization listed by the State Department as a terrorist group. Guzmán isn’t the only link connecting drug trafficking to the Trump Ocean Club. One of the early investors in the project was a man named Louis Pargiolas. In 2009, he pleaded guilty in a federal court in Miami to conspiracy to import cocaine. Ventura says about half of the units he sold at the Trump Ocean Club were to Russians. To help handle them, Ventura went into business with several Russian-speaking real estate brokers, who he admits have had checkered pasts, including one named Stanislav Kavalenka. According to Ontario court documents, Kavalenka was charged in Canada with a number of offenses, including “compelling” and “procuring” women to engage in prostitution. The case was withdrawn when the two women failed to appear in court to give evidence against him. Another investor in Ventura’s firm was Arkady Vodovozov. According to court files cited by Reuters, he was convicted of kidnapping in Israel. A third representative of the brokerage firm, described by Ventura as an occasional buyer at the Trump Ocean Club, was Igor Anapolskiy, according to Ukrainian court documents. He was convicted in September 2014 by a court in Ukraine of forging travel documents, according to Global Witness. The identities of all of the buyers and sellers of the building’s units is difficult to discover, however, because many of the units were bought and sold through anonymous shell companies, according to documents from the Panamanian office of public records. Ventura says he set up hundreds of those corporations, charging roughly $1,000 each. Ceballos, who says he investigated transactions related to the Trump Ocean Club during his stint as an anti-corruption prosecutor in Panama, describes the building as a magnet for international organized crime, particularly from Russia. Ceballos said lax law enforcement in Panama made money laundering easy. To launder money, he said, buyers using anonymous corporations would bring dirty money to Panama, often in cash, use it to buy real estate with no questions asked, sell it, and deposit the proceeds into local banks, which would accept the funds, also without asking questions. The real estate purchases, Ceballos says, were solely a way to get the money into banks and into the global financial system; few buyers intended to live in the condos. During a recent visit by NBC News, the Trump Ocean Club appeared to be largely empty, with virtually no one in the restaurants at night. The hallways were consistently empty. The lights were off in many of the units after dark. Ventura said most of his clients never intended to live in the Trump Ocean Club. 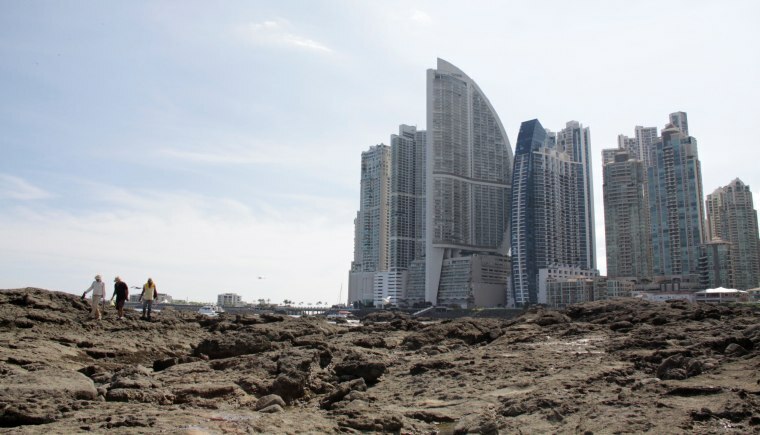 Miguel Antonio Bernal, a professor of constitutional law at the University of Panama and a campaigner against corruption, said many buildings in Panama City were built specifically to be vehicles for money laundering; the Trump Ocean Club fits the mold. Sarah Chayes, a corruption expert working with a group of lawyers trying to bring an unrelated case against the president for violating the Emoluments clause of the Constitution, said it was troubling that the Trump Organization seemed to pay no attention to the shady backgrounds of its partners and clients. 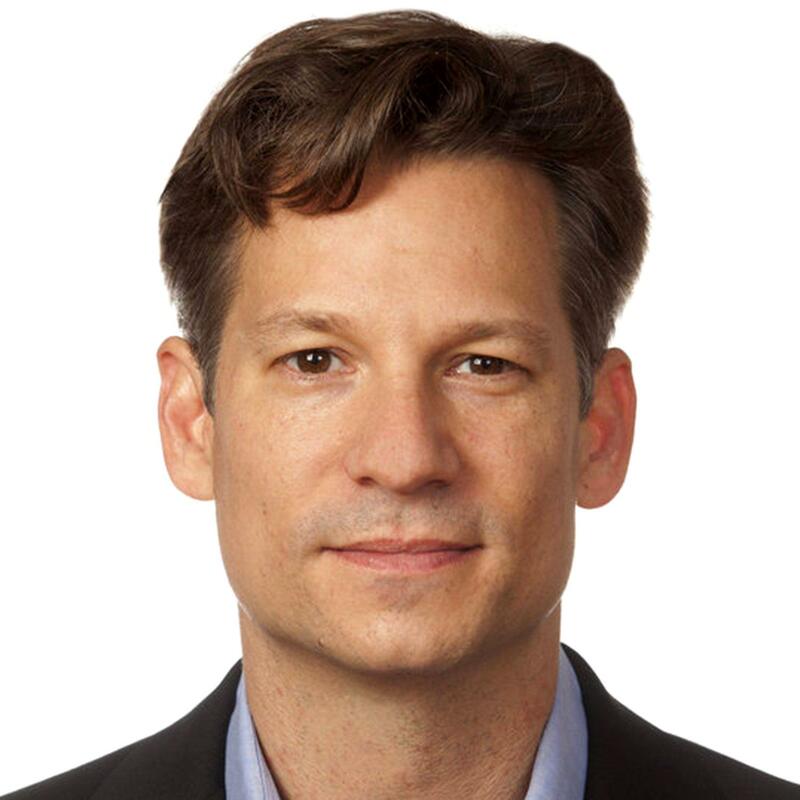 Richard Engel has been NBC News' chief foreign correspondent since 2008.